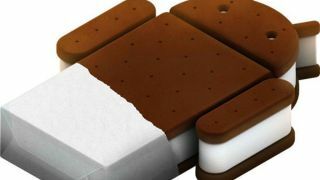 Ice Cream Sandwich now accounts for 15.9 per cent of Android devices, according to the latest stats from Google. That's up from 10 per cent from July, the last time Google released figures. It seems it's eating into older versions of the Android operating system as well. Gingerbread (Android 2.3) fell by 3.4 per cent, Froyo (Android 2.2) by 1.8 per cent, and Eclair (Android 2.1) by 0.5 per cent. However, Gingerbread is still the predominant version of the OS, accounting for 60.6 per cent of devices. So what of Jelly Bean (Android 4.1)? Well it has scored, but only accounts for a meagre 0.8 per cent of Android devices. That's hardly surprising, considering it only launched a couple of weeks ago. The Nexus 7 comes running Jelly Bean out of the box. Motorola's Xoom will get an over-the-air update to Android 4.1, along with the HTC One X and One S, and Asus' Transformer tablets. However, everyone is staying very quiet as to when these updates will actually roll out. The Galaxy Nexus has already received the update to Android Jelly Bean. Google promised Jelly Bean would streamline the update process for all, but it still seems to be taking its sweet time. HTC Desire HD owners were denied Ice Cream Sandwich a few days ago, after HTC promised the update, then pulled it. ICS has been out nearly 10 months, so for it still to only account for 16 per cent of Android devices is a bit of a poor show. Let's hope the Jelly Bean rollout gathers pace.